Alabama Gov. 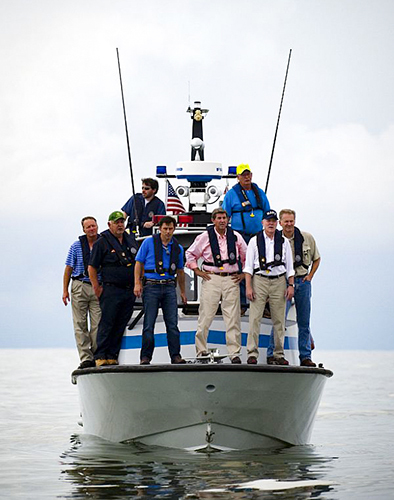 Bob Riley, third from right, tours the state's Gulf Coast with Secretary of the Navy Ray Mabus, second from right, during the secretary's tour of Gulf states in response to the BP oil spill in July 2010. Courtesy of the U.S. Navy. Photograph by Mass Communication Specialist 2nd Class Kevin S. O'Brien.